That’s the new Ubuntu in a nutshell. Yesterday I explained how Ubuntu 10.04 Integrates All Your Inboxes [Linux] Ubuntu 10.04 Integrates All Your Inboxes [Linux] Read More Ubuntu 10.04 can integrate all your inboxes – including email, social networks and instant messaging – into one central place. But that’s not the only new feature that’ll come with the new release on April 29th: there are also a number of small changes that, collectively, give Ubuntu 10.04 a polish I’ve never seen in any Linux distribution. I’ve been using the beta version of this Linux-based operating system for a week now, and I have to say I’m really impressed. Ubuntu 10.04 is by far the best Linux release I’ve ever used. While there’s no one killer feature, a number of small improvements add up to an attractive operating system usable by anyone right out of the box. The release shows a great deal of maturity on the part of developers, who continually try to find balance between satisfying their core audience of Linux fanatics whilst still making a platform viable for the average user. I’ve already explored several things that are easier to do in Ubuntu than in Windows 7 Things That Are Easier To Do In Ubuntu Than In Windows 7 Things That Are Easier To Do In Ubuntu Than In Windows Read More , and if this release is any sign of things to come I may have to do another such list before the end of the year. My first example of polish: the Gimp is gone! Now don’t get me wrong: I love the Gimp. It’s a fantastic photo editor, and I’ll be using it for years to come. But it shouldn’t be included in Ubuntu by default. With these Ubuntu 10.04 tools, average users can quickly get done what they want to get done. I know, I know: this is basic functionality at best. But it’s impossible to make an advanced photo editor that’s easy to use, and Ubuntu shouldn’t include anything the user can’t figure out quickly – that can make people feel overwhelmed. Not including the Gimp by default shows a remarkable degree of maturity on the part of the Ubuntu project; they’re taking themselves seriously as an operating system, and not thinking of themselves as some mere Linux distribution. And for the user who already knows how to use the Gimp? A quick trip to the software manager and you’ve got it. Everybody wins. Additionally, the ugly and confusing Xsane is replaced with a new, easy-to-understand program called Simple Scan. 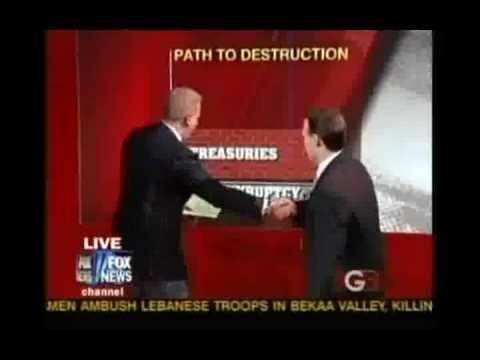 Xsane always worked great for me, but I hated the interface. This solves that, and I’m happy about it. It’s always been hard to find a decent video editor on Linux. Ubuntu 10.04 has one out of the box: PiTiVi. Sure, it’s not an advanced video editor, but it does a pretty good job at what it’s for: putting together quick videos for the likes of YouTube. I managed to throw this video together using it, and it amuses me to no end, so I’m happy with video editing in Ubuntu. My favorite is gBrainy, which while being little more than an extended quiz is a fantastic way to wake up your brain in the morning. Fire up this game and you’ll see a series of questions testing your logic, math and memory skills. As you’ve noticed from my screenshots and pictures, Ubuntu’s gone through a bit of rebranding. Gone is the infamous brown, replaced by a sleek new look that’s still completely unique. Yep; it’s a Linux distribution with an eye for aesthetics. I’m shocked too. Ubuntu’s not really had a major re-branding since launching, so the fresh look is very welcome in my opinion. A quick note to those of you complaining about the buttons moving to the wrong side: get over it. The change is quite aesthetically pleasing, sets Ubuntu apart from both Windows and Mac, and only takes an hour to adjust to. If you can’t adjust simply learn to use keyboard shortcuts and forget the buttons are even there. Of course, this new release of Ubuntu offers further integration with the cloud-based Ubuntu One service. You’ll receive 2 gigabytes of Dropbox-style file syncing, as well as support for syncing your email contacts and more. There’s also the new Ubuntu One Music store, integrated into the default music player Rhythmbox. Any music you buy here will follow you on all your computers via Ubuntu One, a nice little feature if you want to automatically keep all your music in one place. Ubuntu One’s a great addition to the operating system, and gives Canonical (the company funding Ubuntu) a potential revenue stream. 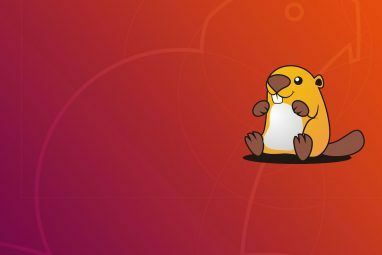 I think what they’re doing is fantastic and I hope things like this eventually make Ubuntu profitable for Canonical; they deserve it for providing us with such a great free operating system. Any one of these changes would, alone, be superficial. Taken as a whole, however, and we see Ubuntu maturing as a vibrant, viable operating system with plenty of polish. Simply put, Ubuntu is not just for Linux nerds anymore. If you’ve any interest in replacing Windows or OSX with something different you should check this out, because you won’t be disappointed. 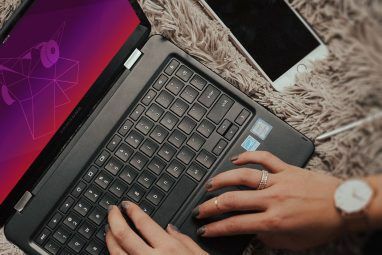 Ubuntu’s proving it can not only build a community around an open-source project, but also work with this community to build a focused product. This is no small feat, and the Ubuntu team should be commended for this. Ubuntu 10.04 officially comes out on April 29th, but if you’re brave you can download it now. I'm going to install Ubuntu. YAY I CAN"T WAIT! yeah ubuntu is the best!!!.. Can i anybody explains how to install kernel and gcc in Ubuntu desktop edition? Ubuntu 10.04 'Lucid Lynx' can connect iPhone/iPod Touch and perform disk image level backup via the USB cable, no more slow WiFi connect! I just installed it over the previous version, and I'm pretty impressed. It seems a lot faster, and the stuff they changed seems to be for the better. The integration of Facebook and the like is extremely well executed, and the automatic syncing of bookmarks and selected folders using the Ubuntu One system works like a charm. Music you buy from the (drm free) Ubuntu One Store, which is built into the standard music player (called Rhythmbox) also syncs to all your computers. For the guy asking about the update system. A repository is simply a server with a bunch of files on it. By default, you get all your files (programs and themes and stuff like that) from the server nearest you, and it automatically updates all you programs once in a while. This includes any new programs you choose to install from the Software Center (it's akin to the install/remove programs in windows, except it actually does what it sounds like). If you want programs from somewhere else, the .deb extension is like the .exe files in Windows (choose the 32-bit or 64-bit according to which Ubuntu you install). These will not be updated automatically! I rarely need programs not in the software center, and I think most normal human beings will feel the same way. If you want updates for a program that you install from somewhere else, the developer will supply a server with the newest updates. Then you simply copy-paste the address of the server (repository) into the update system, and it will be able to install and update programs from there. If you have problems head over to the ubuntu forums, or just do a search on google. Ubuntu is the operating system I have had the easiest time getting help for. Anyway, it allows you to try it out before installing it, running directly from the cd if you boot from it, so there's no reason not to try it out. When installing, it will automatically install the drivers for your wireless, graphics card and stuff like that. I haven't installed a single driver myself, and everything works. It has to be said, that it's not for everybody. If you need some Windows or Apple specific application, I suggest you stay on your current platform (although many of those applications will probably have an Ubuntu equivalent). I dual-boot Windows XP and Ubuntu. Windows is for music production, and is not connected to the internet. Everything else I do on Ubuntu where I don't have to worry about viruses. Lastly, it has a lot of nifty little things that most Ubuntu users take for granted now, like system wide spell checking. Booting Ubuntu in under 10 seconds? Excited? Some sort of awe inspiring feat? How the f did Microsoft get Windows to boot in under 10 seconds? That's jaw dropping. All in al I love both. Ubuntu boots in 5 on my machine. Thats pretty impressive. I've just installed 10.04 LTS on my netbook and I'm very impressed with the very snappy feel to the OS. Much quicker than XP, and the lack of games on Linux is not a problem as Netbooks can't run games anyway. It boots in under 10 seconds from my 5400rpm toshiba sata hard drive with only a 60mb/s read speed. How The F#*! did Canonical manage that? It must be some sort of Ubuntu JuJu. Atheros WiFi, Chicony web cam, Synaptic multitouch trackpad, bluetooth, and Intel graphics ALL work out of the box. Rhythmbox even works with my apple eh'pod :-) This release seems very stable and as far as I can tell nothing has regressed. Mark Shuttleworth and his team should be very proud of this release. > Windows and Mac, and only takes an hour to adjust to. By 'sets apart' you mean it's a clone of the Mac window interface now? I'll stick with windows xp until April 29th. 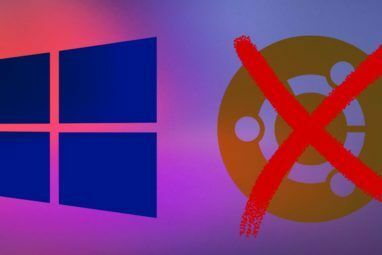 What's the best alternative to Visual Studio in Ubuntu? Does it finally come with support for video and audio chat for google talk and yahoo? I had one heck of an issue setting up different programs even for just audio chat, the last I wanted to use ubuntu on a netbook. This is a different system. If you only use some niche applications to run in Ubuntu then you either don't bother about Linux and stick to windows. Otherwise use Linux alternatives. Another solution is to use a dual-boot system. I'm waiting for the official release...my Koala upgrade taught me to do that... waiting in anticipation tho', sounds great - thanks for the walk thru. I installed Ubuntu 9.04 but I cannot use my 3.5G USB modem. Can you confirm that if my modem will work on the new version. My modem model is CSL U2. I hate Microsoft and tried for months to convert to open source but my Dell Optiplex 320 is one of those machines on which linux won't run. Bums me out! That's a bad claim to make. Given the sheer number of Windows apps and games made in the last decade, it's better to assume and claim that most Windows programs are probably unconfirmed with WINE, but quite a few do work on it. These are important to people and it's best to be clear about them. Will some work on WINE? Sure some might. Check the list. Are there alternatives to their software? Sure, but you gotta find them, kids games, photo collage scrapbook software, these things are sometimes built for Linux, but hard to find. I still think that given all the Flash games out there, web-based tax software and just the fact that viruses are more easily avoided that people might sacrifice a few of these things, but they NEED to have accurate information on it. i have been using it myself, for some months now, its smooth operating, and i am trying to involve my friends in it too. Ubuntu Software Centre is one of its best features, just search the program you need, and install it, works like a jiffy, and installed programs will be updated, everytime an update comes available, from within the updater, like it was said before. I have been using Ubuntu OS since 2008 and no other Linux distro comes near it. I am hoping that they settle Ubuntu down. Like Mac OS and Windows. Work on making the "built in" applications better. Like on my Mac new versions of Safari and iTunes etc get updated a few times a year even if the OS does not get anymore then security patches. Since this is a LTS version I hope they do the same. What I would love to do is be able to go from LTS to LTS and not need to upgrade to the non LTS versions to get good features. Esp on the App front. Also the one thing that I can do on Windows and on Mac is use an older version for quite a long time. So I could still stay on Leopard even though Snow Leopard is out and still get up to date apps etc. Same mostly with Windows. I can still use XP. They should be able to push up an update somewhere along the way that adds the backport repository and allow you to get up to date apps for longer periods etc. All this to install gBrainy?!? What a mess! Need to get 6,977kB of archives. After this operation, 22.2MB of additional disk space will be used. Unbuntu is a great operating system. It looks simple. I will wait until stable release. Likewise been running 10.04 since Beta1 and it sure seems like a winner to me. I've been using Ubuntu 10.04 since beta 1 release. I haven't had any problems from my desktop PC. I really like the new polish on the system. It's getting very user friendly. Does Ubuntu have something like "windows update" from Windows? yes. ubuntu has something called the update manager which downloads updates from various repositories. If you first install WineHQ it will allow you to run windows apps. Ubuntu 10.1 will be a treat for video editors. As well as pitivi as mentioned above, it will also include the more advanced editor LiVES version 1.3.2 and openShot version 1.1. Do windows programs work on Ubuntu? Most Windows apps can with some hacking, but it's best to just stick to the native programs for simplicity's sake. I believe most of the "popular" programs will just work fine with WINE. Besides that, there is nearly always and alternative program in linux for common tasks rather than games. Just check WINE application database from the site. In addition, you don't need to dig the web for your software needs in linux like windows. Just ask what you need at ubuntu (or whatever distro you use) user forums and you will get a good answer.